Offered by the Blaine County Recreation District at the county pool, Hailey. Contact 578-2273 or when the pool opens on Saturday, June 2, call 788-2144 (pool). Check the Rec District's 2012 Spring and Summer Sports and Activities program guide. 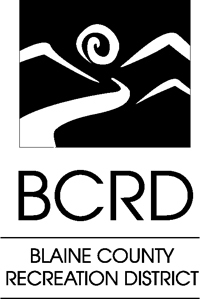 Visit bcrd.org. -Wednesday, April 25 from 4-7 p.m. at Community Campus. -Begins Tuesday, May 29, 9 a.m. to 6 p.m. at the Aquatic Center. No registrations accepted before May 29. The pool's grand opening is Saturday, June 2, which is free swim day. There will be no classes Wednesday, July 4. -Friday, June 8, free for students from 1-5:30 p.m.
-Open—Daily June 2 through Sept. 1. The facility has a main heated pool, 25-yard, 6 lanes. Also a 15-by-25-foot wading pool heated to 85 degrees. -Aquatics director—Cameron King is in her sixth season, cking@bcrd.org. l Daily fees—General admission is $5 adults 18 to 64, $4 seniors 65 and up and youth 17 and under. Infants up to 1 year old are free. Non-swimmers get in for $2. -Season passes—$185.50 family, $95.40 adult 18 and older, $79.50 children 17-under, $79.50 senior 65 and over. -Monthly passes—$66.78 for families (one to two adults and their dependents); $34.98 adults 18-64; $28.62 seniors 65 and up and youth 17 and under. -Dates, days—June 9-Sept. 1; on Tuesdays and Thursdays. -Ages—Children under 14 accompanied by an adult. Both pools open for all to splash, play and relax. -Dates—June 2 through Sept. 1. -Days, times—Mondays through Fridays from 1:10-5:25 p.m.; plus Mondays, Wednesdays and Fridays from 6:30-8 p.m. Also Saturdays and Sundays from noon to 5 p.m.
A competitive recreation summer swimming league based at Blaine County Aquatic Center. To participate, children must be able to swim, unassisted, for one length of the 25-yard pool. -Dates, days—June 11 through July 26; Mondays through Thursdays, plus 6 swim meets on Saturdays at various out-of-town locations. -Eligibility—Ages 5-18 (must be able to swim a length of the pool). -Pre-season workouts—Monday through Thursday, June 4-7; workouts are 3:30-4:30 p.m. for ages 5-10, and 4:30-5:30 p.m. for 11 and up. -Regular-season workouts (starting June 11)—7:30-8:30 a.m. for ages 11-and-up, and 8:30-9:30 a.m. for ages 10-and-under. -Fee—$175.30 includes all training/coaching, swim meet entries and cap—full payment by July 10. For $238.90, you get the training, cap and entries plus a season pass to the Aquatic Center. Fees don't include the optional team suit that can be purchased. Scholarships are available. Five two-week sessions at the Aquatic Center. -Sessions—No. 1 session June 11-21; No. 2 June 25-July 5; No. 3 July 9-19; No. 4 July 23-Aug. 2; and No.5 Aug. 6-16. The two-week sessions include 30-minute lessons. -Eligibility—Boys and girls 6 months to 12 years. -Times—Classes at 10:30 a.m., 11 a.m. and 11:30 a.m. Every effort is made to reschedule classes canceled due to bad weather. -Class levels—From "Mommy, Daddy and Me," (6 months to 3 years) and Guppies (age 3 only) to Aquatot 4-5 and Aquatot 4-7 (non-swimmers); Pre-Beginner 9 and under, and Beginner ages 5-12. Children placed based on ages and skills. -Teachers—All swim school teachers have been trained in current teaching techniques. Teacher/student ratios are kept low so your child receives the attention he or she deserves. -Fee—$42, first-come, first-served. Registration starts Tuesday, May 29, from 9 a.m. to 6 p.m. at the Aquatic Center. -Atkinson Family Scholarships—Ask for information and applications. -Private and semi-private lessons—Designed for beginners wishing to improve their skills are also available Mondays through Fridays, for all ages. Fees are $30 per half-hour for private, and $18 for each half hour for semi-private.